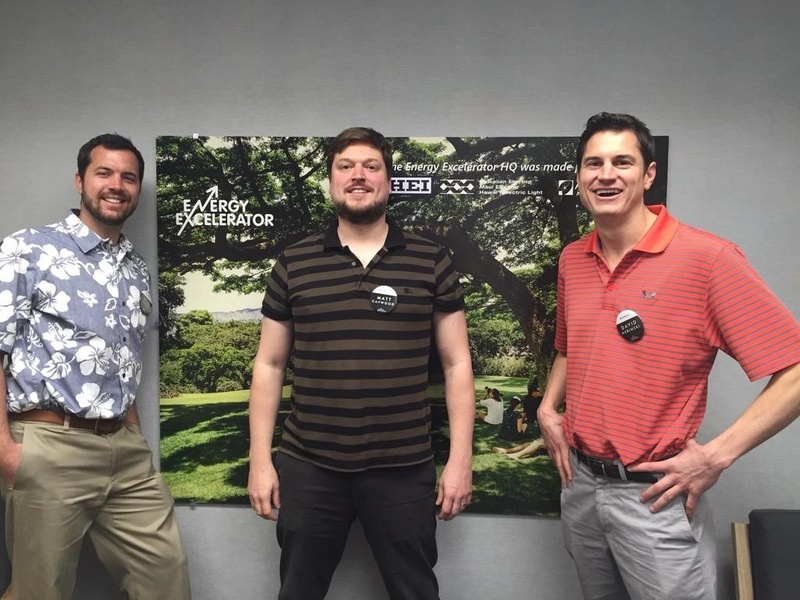 The TransitScreen team of Matt Caywood, Ryan Croft and David Nebinski has been in Honolulu, Hawaii for the last week for the Energy Excelerator Kickoff Week. The team is meeting with leaders in real estate, hospitality, transportation, sustainability, and investments, as well as city/state officials, non-profits and universities. "We met with officials from HART to discuss the long awaited Honolulu high speed rail project. We recently met with stakeholders involved in the Ala Moana Center expansion (this is the largest open air shopping mall in the world). Our time has been spent immersing ourselves in Hawaiian culture to learn business practices, customs, culture and traditions. Hawaii is viewed as the "gateway to Asia," and this week there has been interest in bringing our technology to major cities throughout Asia," reported Ryan Croft from Honolulu. Hawaii is a bus heavy state, and Honolulu as a city has the 3rd worst traffic in the nation. TransitScreen is looking forward to helping to alleviate some of that traffic congestion by providing multimodal transit options to commuters and residents in Honolulu.